Until recently the theory that people could have traversed large expanses of ocean in prehistoric times was considered pseudoscience. But recent discoveries in places as disparate as Australia, Labrador, Crete, California, and Chile open the possibility that ancient oceans were highways, not barriers, and that ancient people possessed the means and motives to traverse them. 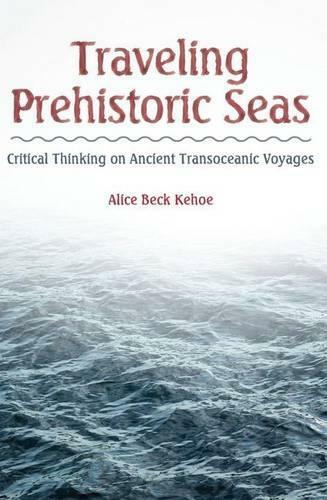 In this brief, thought-provoking, but controversial book Alice Kehoe considers the existing evidence in her reassessment of ancient sailing. Her book-critically analyzes the growing body of evidence on prehistoric sailing to help scholars and students evaluate a highly controversial hypothesis;-examines evidence from archaeology, anthropology, botany, art, mythology, linguistics, maritime technology, architecture, paleopathology, and other disciplines;-presents her evidence in student-accessible language to allow instructors to use this work for teaching critical thinking skills.